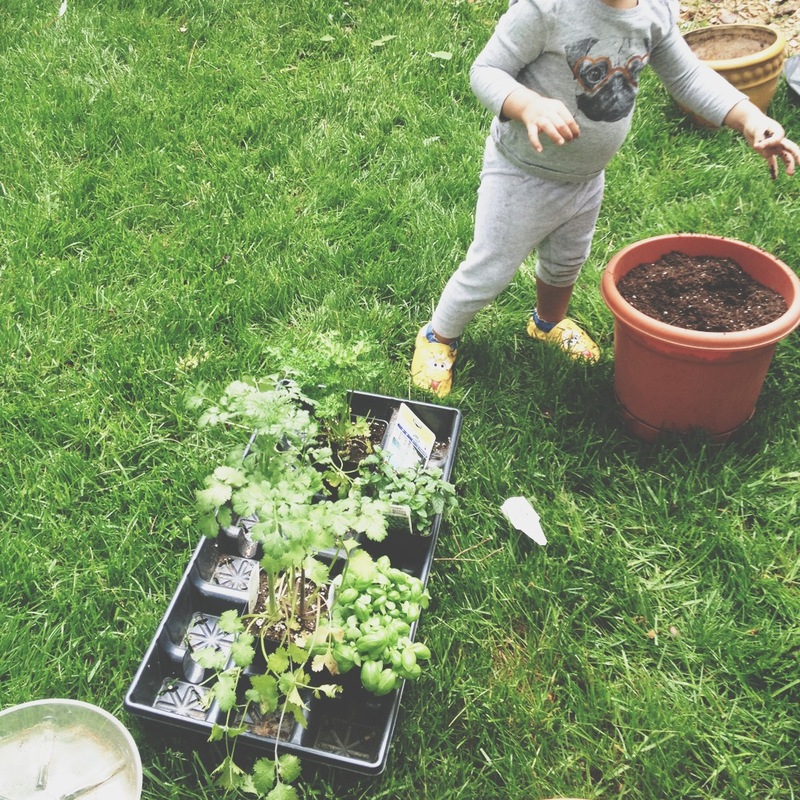 Over the weekend, I did a bit of amateur gardening with the help of my trusty assistant. 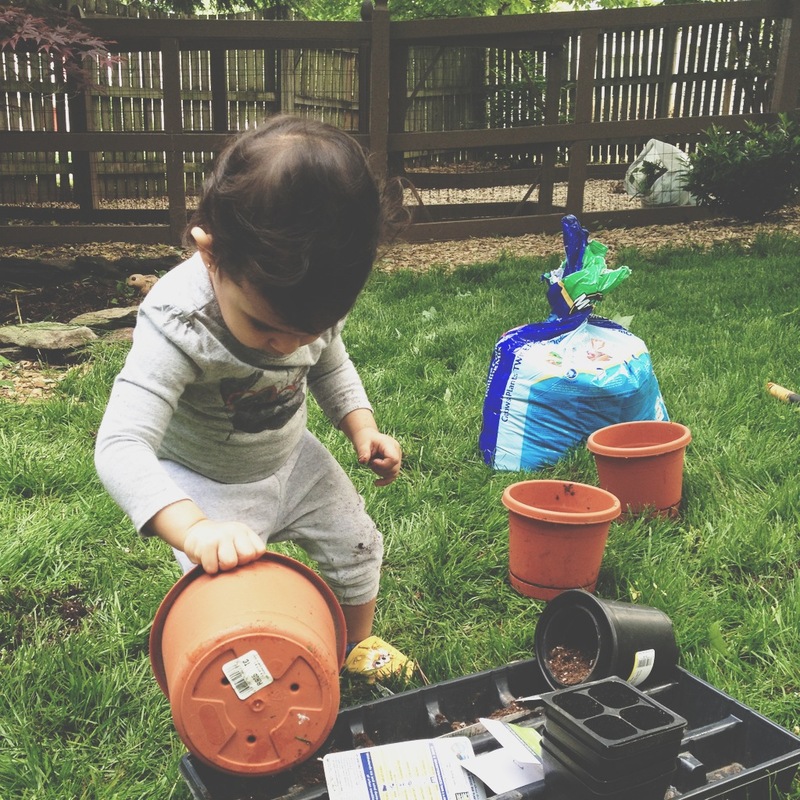 She had fun playing with the pots and not having to hear a 'NO' every time she picked up dirt. Now that is a toddler's dream come true! 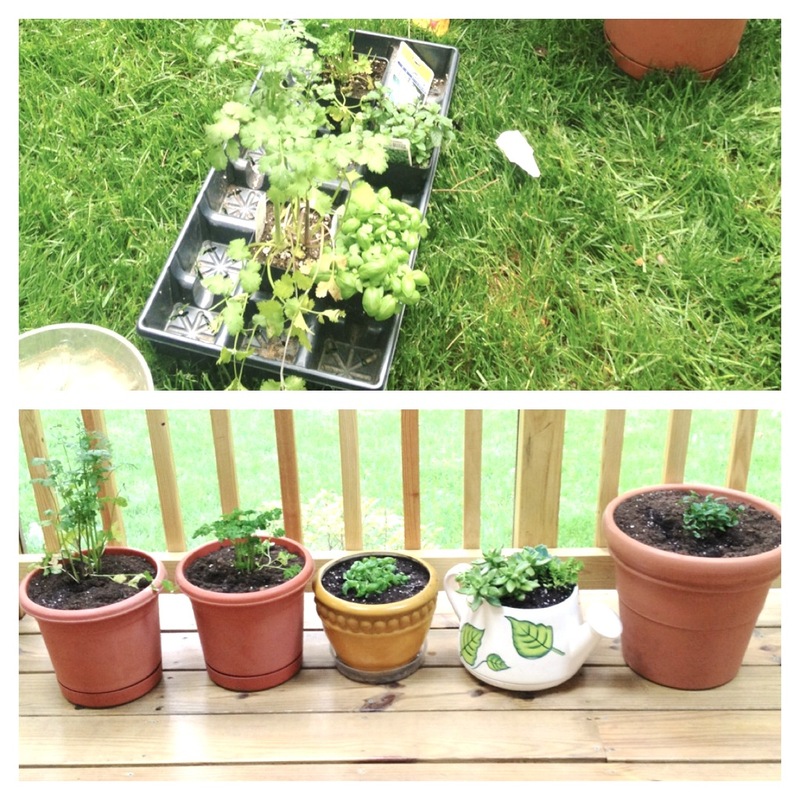 We planted cilantro, parsley, basil, mint and a few succulents. I'm watching over them like mama bear and hoping they don't die on me.